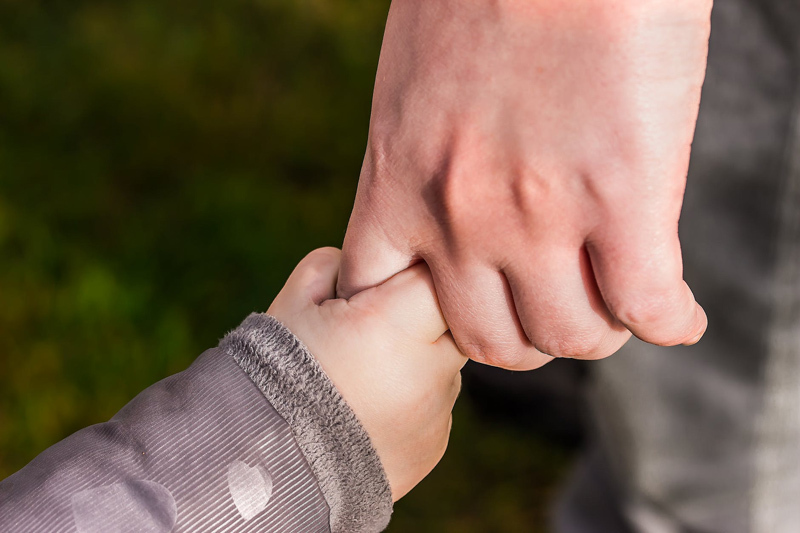 When an infant or older child is diagnosed with a developmental disability, chronic health condition, or special needs, fathers often respond to the information differently than mothers. Finding out that a child has a diagnosis might mean that a father falters in picturing a future where his son or daughter can participate in the simplest pastimes he previously anticipated. It is often helpful for fathers of newly diagnosed children to meet men whose older sons and daughters are exceeding the expectations they had before diagnosis. Many fathers go about readjusting their expectations in a businesslike way, researching topics and finding resources, and seem to make a deal with the child that they will just take on and get through the toughest challenges together. Every father has a unique reaction to the news and the reality of his son or daughter's diagnosis. His responses may be different than the mother's reaction, and even if similar the timing of them may not be in sync with hers. If the child with a diagnosis is a first born or only child, it might be difficult to tell what to attribute to the diagnosis and what is age appropriate unsettling behavior. How can we give fathers of children with special needs an edge? When a baby or child in the family is diagnosed, fathers often get information second hand. They may not have the natural support systems that women find, and may actually be relegated to the status of 'extended family' in early intervention and therapy programs for their children. A fathers activity program helps men feel more comfortable with their own style of parenting, teaches them skills they need to communicate with and support their child with special needs as well as maintaining relationships with their mainstream or 'nda' (not diagnosed with anything) sons or daughters. Taking their children to fathers program activities builds stronger bonds between them, and of course gives moms or other caregivers a break. The program coordinators, often working closely with other fathers, often invite speakers who provide expert information, resources and support. Fathers who participate are powerful voices in their children's education, therapy, and recreation, and often help create or build better opportunities in their community. Having a child with a disability brings some families closer, but others that were on the way to falling apart may continue in that direction. In single parent households where the mother is the only caregiver, grandfathers and uncles often step in to fill the very important roles a father would play. Fathers, grandfathers, uncles and brothers often have less access to support and information than mothers. When systems incorporate support for the men, the quality of life improves for the whole family. It is also invaluable to discover the diversity of the community of men raising children with disabilities, including all cultures, races, and orientation; single or adoptive fathers; artists and scientists. This Fathers Day, let us celebrate the contributions our children's fathers and other significant male caregivers provide in the lives of our children. Their humor, resilience and strength is a resource that helps us all carry on during difficult times, and make good times all the sweeter. Father of a daughter with Down syndrome "...his face was ready and his heart was on the job." ..."
Every mom should have a pair of Superhero Socks!